Read our latest magazines now! It is a place of love, of loss and of memory. It is a place where marriages were made, where children were named and where those Travelling men who lost their lives in wars were remembered. 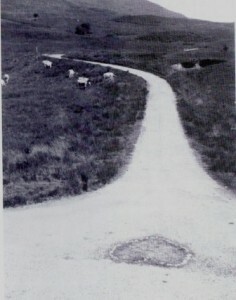 It is a place of both of ancestors and descendants; where the past, the present and the future merge on the three roads. Travellers in times past walked the earth lightly and their sacred spaces have always been hidden in plain view. That sacred place was simply the landscapes they passed through. This is one more reason the Tinkers’ Heart is special. 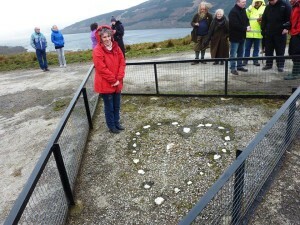 It is a physical monument, laid out in white quartz chuckie stones, a place that is a focus for the memory of the many roles Travellers have played in the history of Scotland. Celebrate this little bit of Scotland and remember the many people who passed that way in their Summer Walking days. Historical Environment Scotland has featured our own Jess Smith in a video about the Tinkers Heart. The People’s Friend Magazine has also covered an article on the Tinkers Heart. The article and small video can be seen below. A Sense of Identity, our award winning film, is coming to Victory Hall, Benderloch on Saturday the 19th of January. Further information is available below. The Heart of the Travellers, a Scottish charity dedicated to the preservation of Traveller culture, is delighted to announce that their film, A Sense of Identity, won The Folklore Society’s Non-Print Media Award 2017-2018.